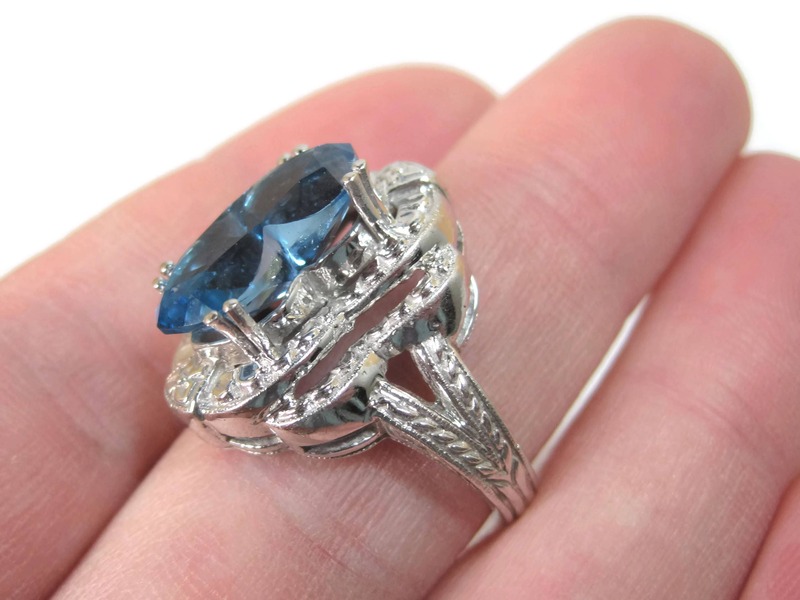 This gorgeous ring is 14k white gold. 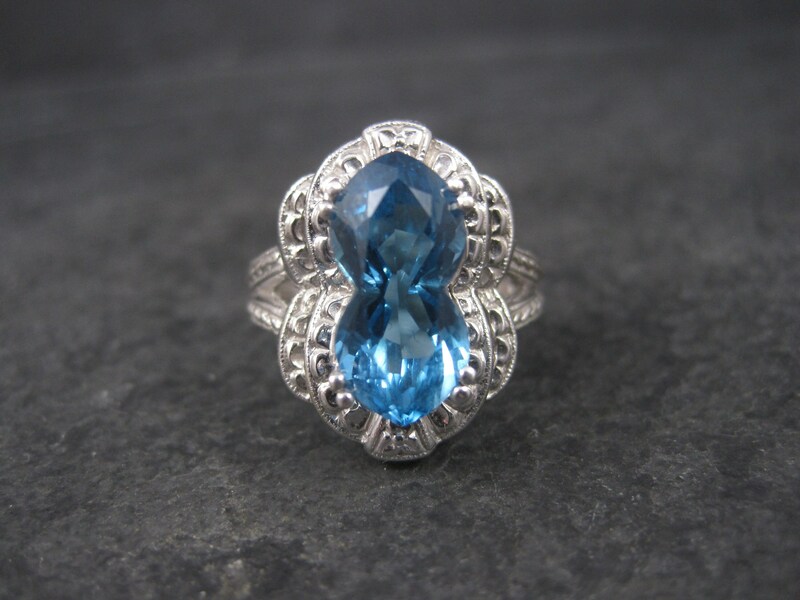 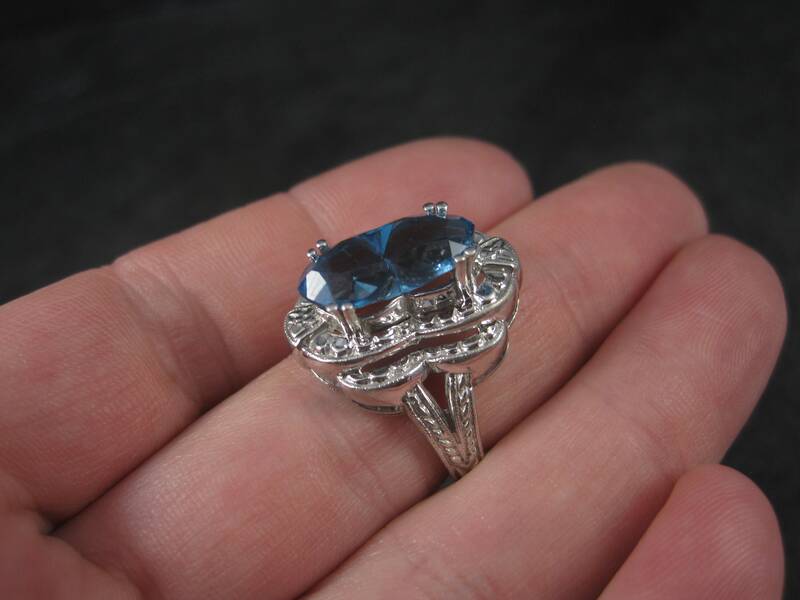 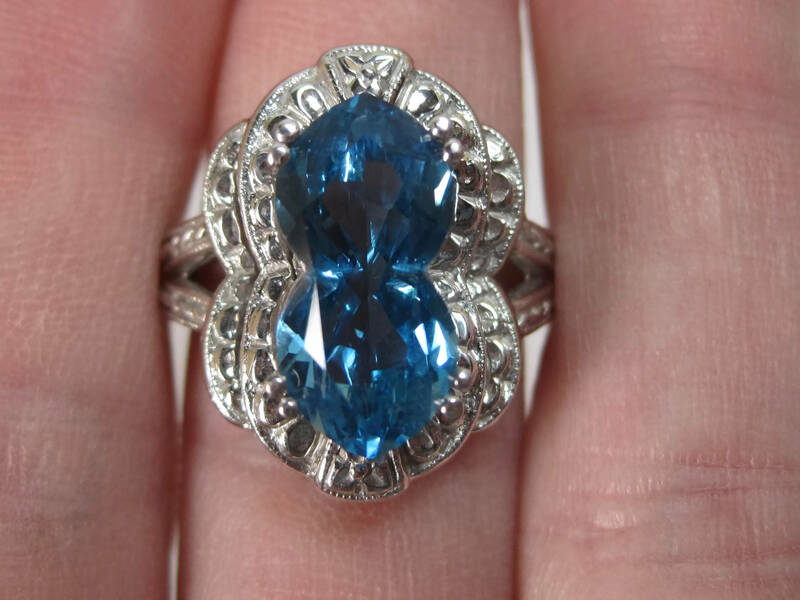 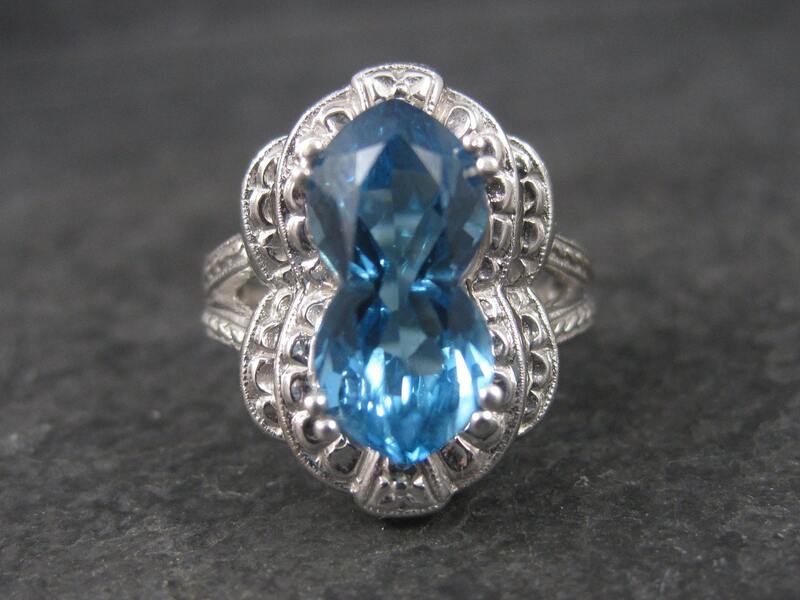 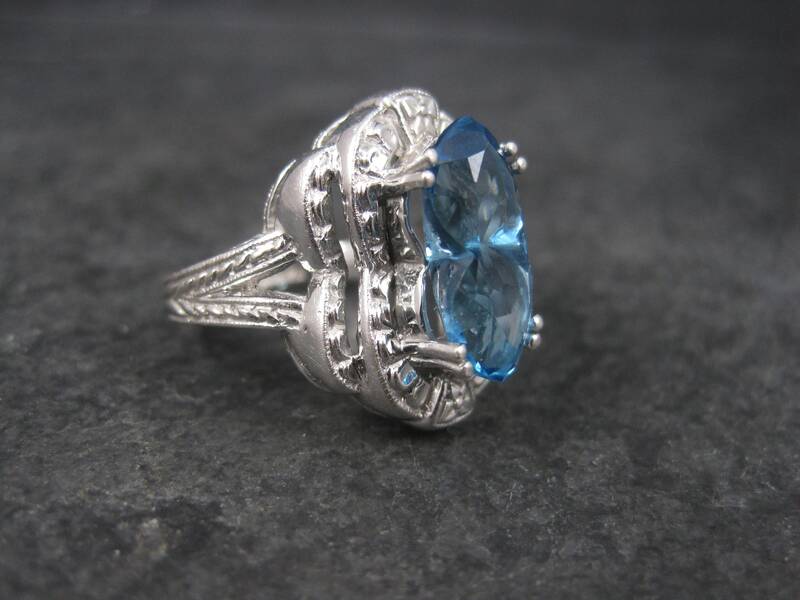 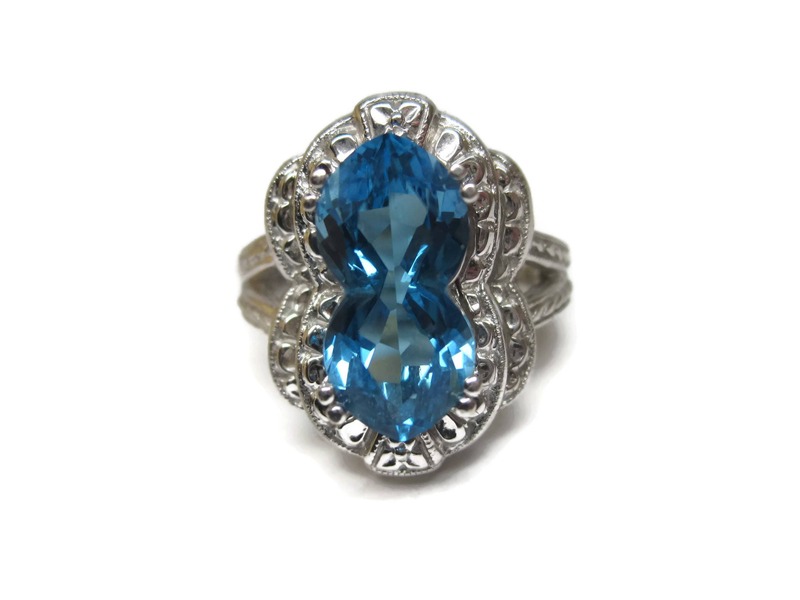 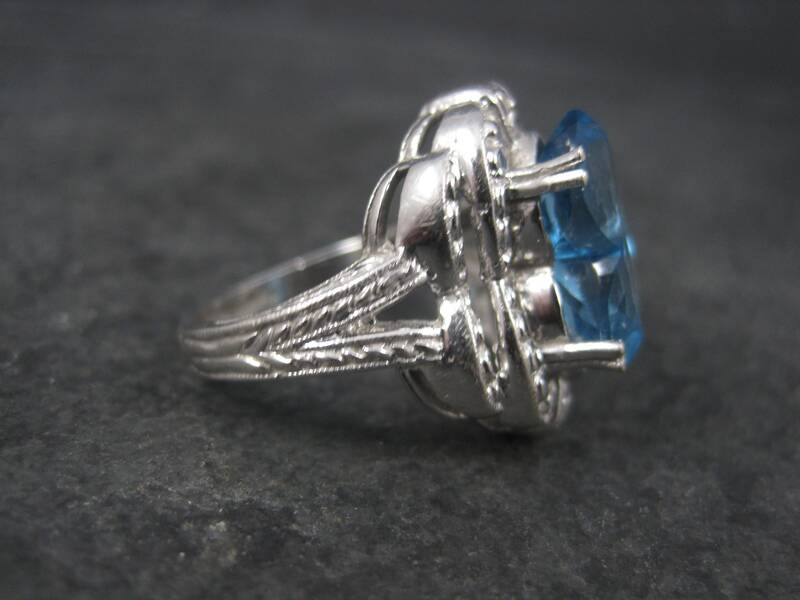 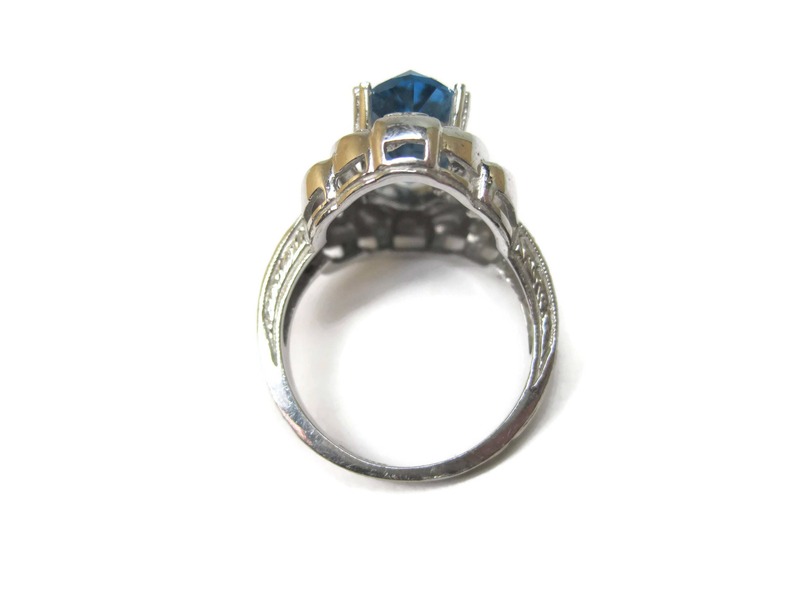 It features an estimated 3 carat, fancy cut london blue topaz and an Art Deco style. 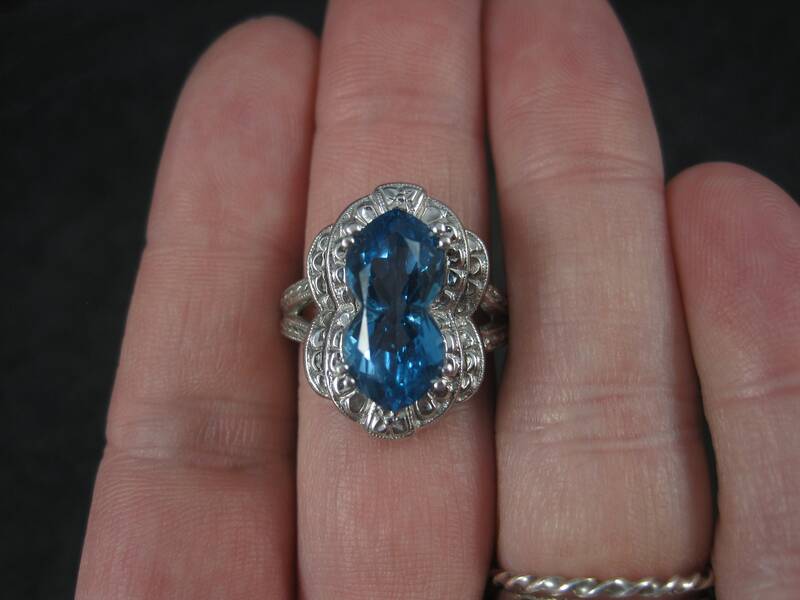 The face of this ring measures 13/16 of an inch north to south with a rise of 9mm off the finger.